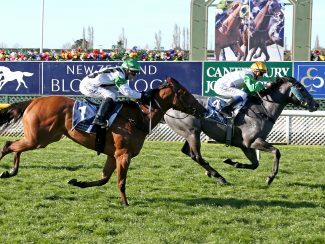 Riccarton-trained three-year-old Emily Margaret will take another step towards the Gr.1 gavelhouse.com New Zealand 1000 Guineas (1600m) when she tackles the Inglewood Stud Guineas Trial (1400m) on her home track on Saturday. Prepared by Kevin and Pam Hughes, Emily Margaret was an impressive last start winner of the Listed Canterbury Belle Stakes (1200m). Her conditioners are confident the filly will handle the step up in distance following back to back wins over 1000m and 1200m respectively. “She has improved a little bit and tightened up with those couple of runs,” Kevin Hughes said. Ridden on-speed by apprentice Jasmine Fawcett when successful last start, senior rider Lisa Allpress will take the reins on Saturday and will have a number of options from barrier 4. “She doesn’t need to be ridden on the pace,” Hughes said. “She could tuck herself in and she should be able to finish off. Hughes was delighted to be able to secure the services of Allpress, who rode four winners at Waverley on Thursday, and said the decision to switch riders was no slight on Jasmine Fawcett. 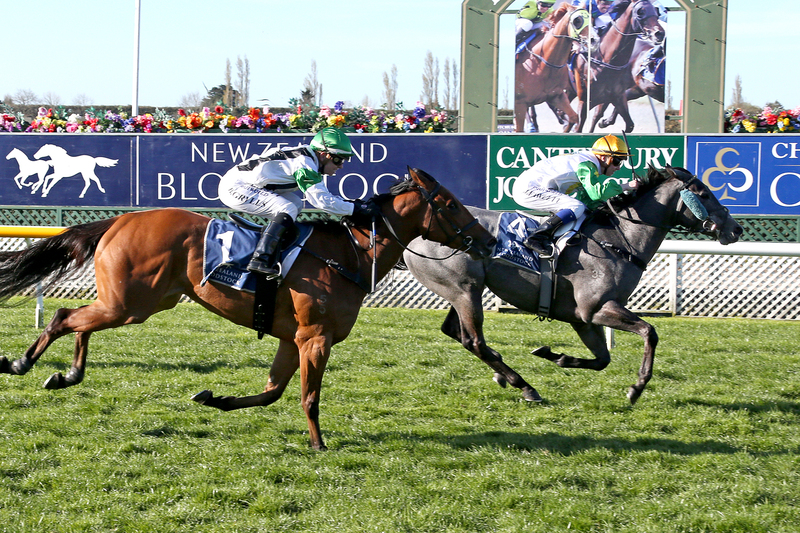 “Jasmine did a great job, but I am pleased to have Lisa on and it was good to get such a top rider given the clash with the Group One meeting at Hawke’s Bay. “It is a pity it does clash with the lead-up to our New Zealand Cup meeting and it is a bit awkward because we are limited down here with what riders we have got. “It looks a good field but it is hard to know the quality of the opposition as it is still early in the season,” Hughes said. Emily Margaret is rated a $3.10 second favourite behind the Jamie Richards-trained gelding Our Flying Ace ($2.70), an impressive winner on debut at Wingatui last month. The Hughes stable will also be represented by in-form mare Hot Fuss in the Rating 65 Win A Trip To Dubai World Cup Here November 10th (1400m). The Pins mare finished fourth over 1200m last start, and Hughes only caution was the likely firmer conditions with the Riccarton track rated a Good3. “She is pretty honest and I think she will have a good season,” Hughes said. “She was a bit stiff last time, and I would say on her work she would be very hard to beat. She’s not a 65 horse really, she is better than that.